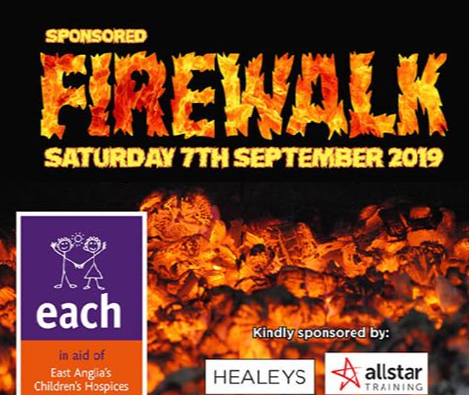 Allstar Training are very excited to be getting involved and sponsoring a Firewalk on 7th September 2019 fundraising for East Anglia’s Children’s Hospice. This amazing event is to be held at Trimley Sports & Social Club in Trimley St Martin on 7th September 2019 with registration staring at 6.00pm. With registration priced at just £10 per person, including the full training and food for participants, the firewalkers are asked to raise sponsorship money all in aid of this extremely worthy local children’s charity.